Nov 13, 2017 Thank you for your feedback in regards to your experience and we apologize if it was conveyed there was nothing we could do to assist you in regards to your LeafFilter system performance. We will be addressing this with the representative you spoke to. If you would like to discuss your situation further, please contact our Service Department again at 1-800-749-4566 and ask for our Corporate Response Team. We have lots of oak trees. We saw a demonstration at a local wine festival and I liked what I saw. After working the numbers and being convinced that I would never need to climb a ladder again, we had our LeafFilter installed this past summer (2017). 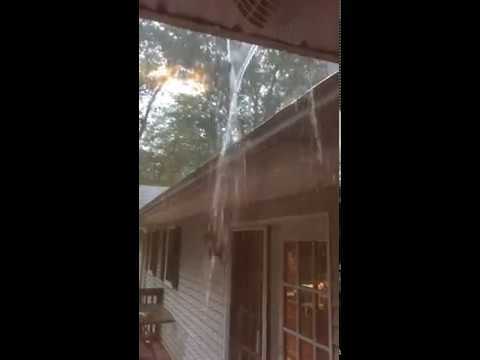 During a normal rain fall, I noticed water running over the top of the gutter on one of my inside gutter corners and onto my deck - see video. After the rain stopped, I investigated the problem and found black gunk covering the micro-mesh screen that prevented the water from entering the gutter. 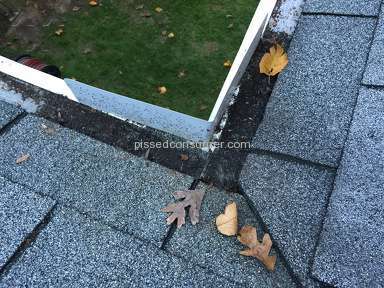 I contacted service and the guy told me this is a known problem that nothing can be done to fix it, except to periodically climb up a ladder and clean them. This is why I bought this product. 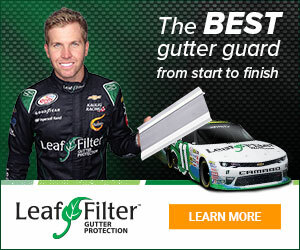 I would not recommend LeafFilter if you have lots of trees and inside corners like we do. Review #1129139 is a subjective opinion of User1129139.